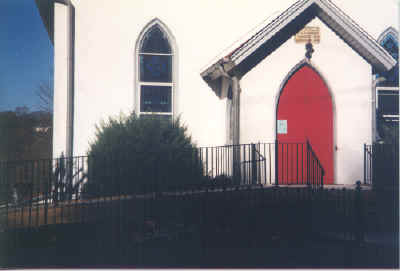 Our congregation had its beginning in the fall of 1851, when some members of the Mount Hope Circuit discussed the possibility of building a church in their neighborhood of Rockdale, a small mill community in Aston Township. A board of trustees was organized at that time, and we celebrate November 18, 1851, the date of our board's first official meeting in Parkmount School House, as our birthday. 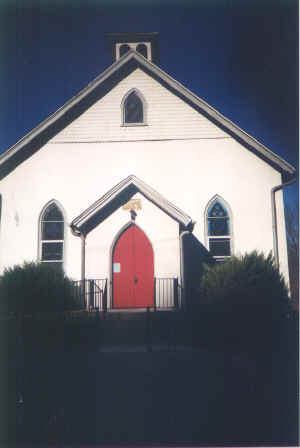 The Philadelphia Conference voted to separate the new Rockdale Methodist Episcopal Church from Mount Hope in the spring of 1852, and the Rev. George W. McLaughlin was appointed the first pastor. John P. Crozer, owner of several cotton mills in the area and founder of Crozer Theological Seminary, donated the land on which the church continues to stand and also subscribed generously to the building fund. In recognition of his contributions, we voted, in 1853, to change our name from Rockdale to Crozerville. Our building was completely renovated during the summer of 1882. Dr. A. J. Kynitt preached the sermon for the formal reopening, October 22nd. We celebrated a century of "devotion, fidelity, and loyalty" on November 18, 1951, during the tenure of the Rev. Charles W. Holmes, one of the fifty-six pastors in our, currently, 143 years of ministry in the name of Jesus Christ. Times change. Our numbers have gone up and down, but the missionary spirit that gave birth to our congregation goes on. In 1993 our current lay leader was a member of the first United Methodist Volunteers-in-Mission team that went to Russia to help build housing in Blagovest, the "Good News Village." It is now our intention, as a congregation to help him return to Russia, accompanied by a young adult member, in the summer of 1995, as a means of our participation in the General Board of Global Ministries' "Russian Initiative." "The then-lay leader mentioned [above] has made a trip back to Russia, every other year since 1993, the last having been about a month ago. He has taken a work tem with him every time, though, lately, no one from the church." "One of the snapshots [above] shows the ramp we proudly dedicated several years ago . Most churches need ramps for elderly attenders; we need one for our three now-early-teenagers, who live with mobility challenges--in a church with an average attendance of 25!" Recollections: "I have been looking for MacFarland lineage on my father's mother's side. It brought me to man named William MacFarland who married an Elizabeth Ray. He died in 1898 and there's a window dedicated to him in the Crozerville Methodist Church. They are both buried in the Calvary Cemetary,... if [anyone has] any information on my family I would love to hear about it." � 2000, 2001, 2003 John A. Bullock III.